LP® SolidStart® LVL is remarkably strong, straight, and consistent. 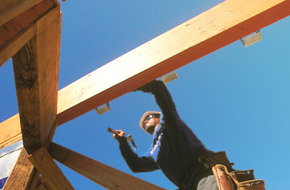 It is an excellent choice for most load-bearing applications and offers several advantages over traditional lumber. Because of its consistency, you are able to reduce waste, save on material costs, and ultimately save time on the job site.